Out of their Seattle-area garage, Daniel and Kelli Segars have built a multimillion-dollar workout business. About an hour north of Seattle, inside an unassuming garage with white walls and an assortment of professional lights, are two of YouTube’s biggest stars, Kelli and Daniel Segars. The married couple is preparing to film two videos for their popular YouTube channel, Fitness Blender. 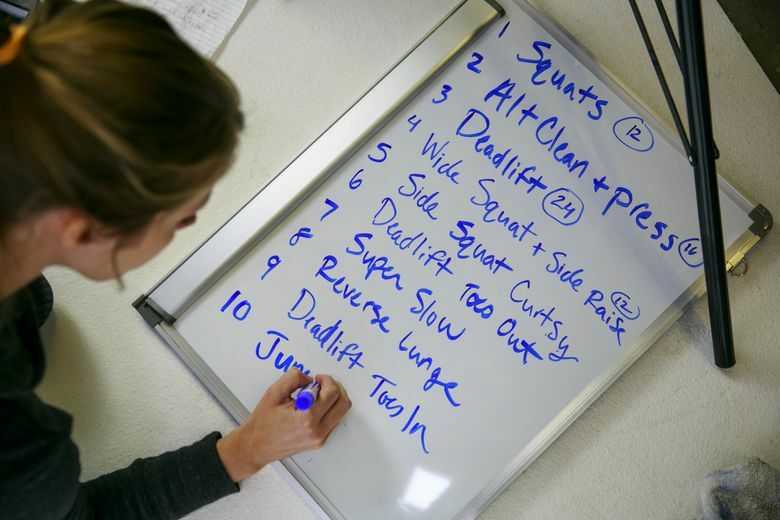 Kelli, who is 5’8” with long dark blond hair, and the owner of the most dramatic waist-to-booty ratio this side of Kim Kardashian, writes her routine on a whiteboard. A cameraman captures different angles with two cameras as Kelli works through a punishing round of squats and weight exercises. She says to her unseen viewers, “This next interval is a little mean.” Daniel, 35, who watches from a nearby couch, smiles. A part of the Powerblock Adjustable Dumbbell set falls out and drops to the floor. Undeterred, she continues. In Hollywood, someone would have yelled, “cut!” but this is part of Fitness Blender’s charm. Mistakes, like flies buzzing on the set, missed rep counts, as well as visible sweating — which, by the end, Kelli definitely is — are all part of the package. It’s one reason why they have more than 2.5 million subscribers on YouTube, more than double the number from the beginning of the year, placing them in the Top 500 of most subscribed channels, out of hundreds of millions. They’ve made numerous best-of lists: including BuzzFeed, Forbes and People magazine. 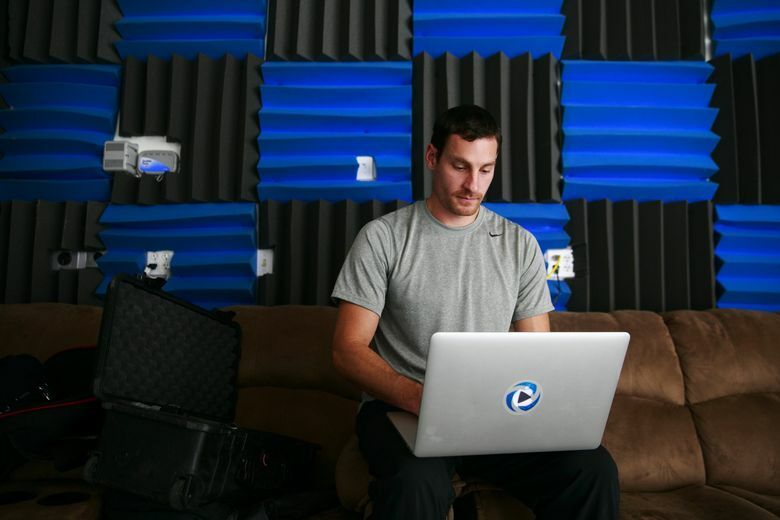 In the Internet’s alternate universe, they are bigger than other more well-known competitors in the exercise space: by comparison, the channel Be Fit, home to celebrity trainers like Jillian Michaels and Denise Austin, has 1.9 million subscribers. 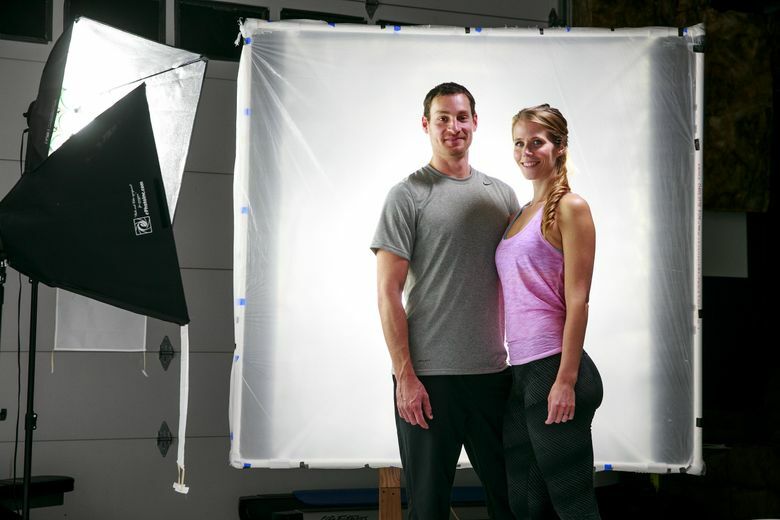 The success of their videos has allowed them to work full time on the company since 2012 which includes their website, FitnessBlender.com, which they are relaunching in early 2016, with an amped-up eating plan. Perhaps a book or a clothing line is in the cards. At this point, anything is possible. In a way, they have the Great Recession to thank for Fitness Blender’s success. One weekend in August 2008, they got married and closed on their first house, and then, on Monday, Daniel lost the majority of his personal-training clients and Kelli’s hours at the gym selling memberships were drastically reduced. “In three days it was like everything just got turned upside down,” Kelli says. When they started Fitness Blender, the Segars hoped it would bring some extra income. At the time, the couple were working numerous odd jobs to stay afloat. Kelli wrote “how-to” articles on the Internet at night while ironically working with an organization that helped unemployed people get back on their feet. Daniel apprenticed as a plumber. The house they bought at the height of the market fortuitously had a nearly finished garage. They added drywall and painted it white. Devoid of gimmicks, their videos are filmed on a white background and have no music, a decision born out of practicality, not a monastic commitment to minimalism: They used a white background because it was simple and clean; and without music, the videos would never seem too dated, and viewers could choose their own songs. They spent a few hundred dollars on a camera and used shop lights. They edited the videos themselves using iMovie. “Oh my gosh, it was so amateur for so, so long,” Daniel says. Their initial videos were short — 30-second, almost robotic instructions on how do a situp, a toe-crunch or a push-up, but they soon learned that wasn’t what people wanted. “People like personal. They like to know who they are working out with. So when we made that switch, that’s when we really took off,” Kelli says over lunch at a pub near their house. Daniel is having a rare “cheat meal”— a burger and fries; she eats a salmon salad. They are still in their workout clothes; she’s wearing a gray sweatshirt adorned with the YouTube logo. Despite six-plus years of being together, they still have the sweet rapport of honeymooners in love. Though many of their videos feature them exercising solo, clips with the two of them are charming as well as helpful (one person will demonstrate the harder version of an exercise). While other fitness videos favor expensive, garish sets, loud, pumping music and celebrity instructors who are toned-and-tanned and blond and caffeinated and never seem to struggle, the Segars don’t yell relentlessly upbeat motivational mantras. Indeed, Kelli is so shy that in initial videos she didn’t speak on camera at all: Instead, Daniel narrated while she demonstrated the exercises. Attractive in an unthreatening, All American-next-door way, Daniel is tall, dark and handsome, with a defined, but not bulky, physique, which is appealing to their female-heavy audience. But it was Kelli’s skills, learned during her years churning out Internet click-bait content, which enabled their videos to rise to the top of Google searches. “She actually developed this secret sauce of how to keyword properly,” Daniel says. Fitness Blender’s lack of gimmicks are now so successful, it’s almost become a gimmick in and of itself. “We’ve heard of people stealing the white background,” Daniel say. Naturally, along with the imitators, have come suitors. A production company or two came sniffing around; a reality-TV show was proffered. One hotel chain offered the use of their exotic beachfront properties as shooting locations, but wanted the brand’s name mentioned every few minutes. The couple politely declined. “If you want to destroy our brand and make everyone hate you then yes, we could do it that way,” Daniel says. Though YouTube’s No. 1 ranked channel, for video game commentator PewDiePie, raked in $7 million last year, most people don’t get rich off YouTube’s partner program, which enables users to share the profits from the ads that play before each video. Fitness Blender — which Kelli says is now a multimillion-dollar company — has grown so much the Segars sometimes work 40-plus hours a week, and just hired their first part-time employee for their website, which also offers paid video-workout plans starting at $3.99. And they were able to buy a bigger house where they live with their gargantuan, hyperactive yellow Lab, Loki. On the Internet, where fame is peculiar, there’s a disconnect from the reality of having millions of fans. (They are still wary enough to ask that their exact location not be disclosed). They aren’t on TV, and are only occasionally recognized on the street. They’ve held a few Meet Ups to meet their fans in person, but it’s hard to grasp the sheer size of their audience.